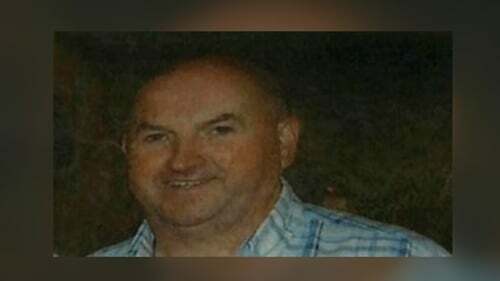 A pathologist has told the Tipperary murder trial he believes Bobby Ryan died from head injuries caused by blows from a blunt object rather than an impact from a vehicle. Belfast-based patholgist Professor Jack Crane was giving evidence in the trial of Patrick Quirke, of Breanshamore, Co Tipperary, who denies murdering Mr Ryan, a part-time DJ known as Mr Moonlight. Mr Ryan went missing in June 2011 and his body was found in a disused run off tank at his girlfriend's farm in April 2013. Mr Quirke was leasing the farm at the time and had previously been in a relationship with the owner of the farm Mary Lowry. Prof Crane did not carry out the post-mortem examination but was asked by gardaí four years later to review the autopsy report of former Deputy State Pathologist Dr Khalid Jabber, who is not available to give evidence to the trial. He outlined the contents of the report which detailed evidence of multiple rib fractures, a fracture to the thigh bone and multiple fractures to the head and face. He said Dr Jabber concluded the cause of death was blunt force trauma evidenced by multiple skeletal fractures. Prof Crane said he noted that another pathologist, Dr Michael Curtis, had said the cause of death could be the result of the impact of a vehicle. While he accepted this was possible, he said there was no real evidence to support this contention. In his opinion Mr Ryan died as a result of head injuries caused by a blunt object, possibly linear in shape. He did not believe the injuries were typical of those associated with vehicular impact. Prof Crane also said the scene at Fawnagowan where the body was found was "unique" and he believed a pathologist should have attended the scene and assisted in directing how the remains were removed from the tank. He said sometimes when bodies were being removed from a scene it might suffer an injury or be damaged and if a pathologist is present they will at least know what has happened. Gardaí have previously told the court that Dr Jabber was asked to attend the scene but refused and carried out the post-mortem the day after the body was removed from the tank. Prof Crane agreed with defence counsel Lorcan Staines that he was not told until recent weeks about a concrete slab breaking as it was removed from the top of the tank. He said if he had he would have made further inquiries about what happened. In a supplemental report he said he could not rule out the possibility that a large, heavy piece of concrete had fallen onto the body while it was in the pit. He said he had been asked a number of times previously to review autopsy reports by Dr Jabber and while he did not mean to be disrespectful, he sometimes found the language used by Dr Jabber to be "confusing". He understood that Dr Jabber's report was not peer reviewed at the time of its preparation. Earlier, a forensic anthropologist told the trial it was doubtful that a fracture to a leg bone of Mr Ryan was caused by concrete falling on his remains during the recovery operation, but said he could not rule it out. Dr René Gapert was asked to examine bone fragments recovered from a run-off tank where Mr Ryan’s body was found. He was also asked to look at photographs of injuries to other parts of Mr Ryan’s body. He was asked by counsel for the defence if the injuries could have been caused by concrete pieces falling into the run-off tank during the recovery operation. Dr Gapert, who has worked on high-profile cases such as the Grenfell Tower fire, said he was doubtful that a leg fracture could have been caused by small pieces of concrete falling on the body, but he could not rule it out. He said the ribs were more fragile, but he could not say if the injuries could have been caused during the recovery process. He said it was difficult to say from looking at a photograph if the injury to the leg bone was caused in 2011 or in 2013. He said in January of this year he was asked by gardaí to examine bone fragments recovered from the tank in 2013 and found a total of nine human bones from the hands and feet along with human nails. He estimated the time of death to be one or two years before the remains were recovered and said all of the human bones were from the same adult. The samples he examined also contained non-human bones and other materials. Dr Gapert said he would have attended the scene in 2013 had he been requested to do so. He saw no need for time pressure in removing the body from the tank until all available experts were on the scene. However, he said he was not a crime scene manager and this was not his area of expertise.